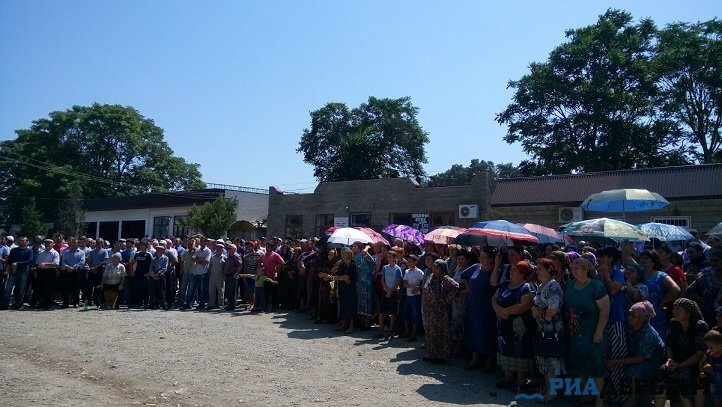 Просмотр проблемы "Water War: Thousands of Dagestani People Come to the Defense of a River"
Half of the river as… a bribe to the neighboring government in the interests of Gazprom. A history of the divided Lezgin people. 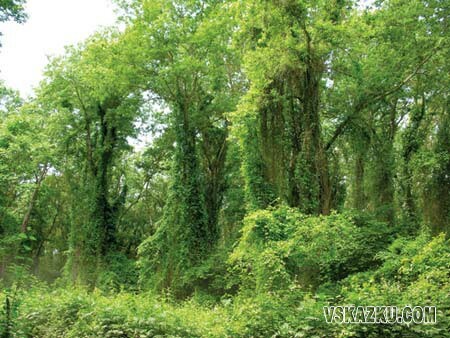 An ancient liana (woody vine) forest, reminiscent of the film “Avatar.” Thousands of protest actions and direct actions by delta residents of the river. All of this is tied into a tight knot of conflict over the Samur river, flowing from the Caucasus mountains to Dagestan and carrying water to the Caspian Sea. Why does this problem deserve society’s attention? Water! So much in this sound… it is said that the conflicts of the 21st century will be over water. Truthfully, in Samur, oil and gas are also invisibly involved. The Samur river is an important economic resource, and is used for irrigation of agricultural land. A lower part of the basin covers a unique relic – a subtropical liana forest. Since 1982, the State Natural Reserve of federal significance, “Samur,” has been located here, and in 1991, the Samur State Natural National Park was formed. Here, in addition to the sycamore, oak, ash, hornbeam, wild apple, pear, cork elm, walnut, medlar, hazelnut, dogwood, wild quince, plum, and more, grow 16 types of various lianas (woody vines), entangling tall trees, making the forest impassable and exotic. This is the last remnant of liana forests in Russia and one of the most northern liana forests in the world. Flowing out of the forest are clear rivers, which form a lake by the coast – a favorite place of spawning fish, including such valuable ones as salmon and the Caspian White Fish. The flora of the Samur reserve consists of over 1,000 species, including many endemic and relic forms, as well as rare and endangered species on the Russian and Dagestani red lists (Lapin kryloplodnaya, strange onion, Pashtykhov ivy, marsh orchids, Ophrys orchids – Caucasian, aquiferous, and others). Here, preserved in natural conditions, are an extraordinary variety of rare and unique species, a rare collection of tree crop ancestors: grapes, apples, pears, quinces, and decorative grasses. In the Samur river delta, over 300 species of birds have been recorded. Over fifty of them are rare and endangered on the red list (black stork, flamingo, Dalmatian pelican, white-tailed eagle, lesser spotted eagle, white-headed duck, Ferruginous duck, avocet, collared pratincole, sultan chicken, etc.). As the mouth of the Samur river hosts mass migrations and wintering birds, it has been announced a key ornithological territory of international importance. Tradition and adage from the 17-18th centuries tell that some of the animals and birds, even trees, were considered as sacred by local residents, and one who broke a branch or injured a bird was subjected to cruel punishment. This forest, which survived the tertiary glacial period, and has grown for millions of years, is now dying. To blame are grazing, cutting down century-old trees for chips for pressed plates, litter, and garbage dumps… For forty years in Samur, waste containing lead and other toxic metals has been disposed of from the Hnov-Borchinsky ore district. Now, according to locals, the Samur Park land is being sold, trees are being cut down, and a home is being built in the center of the park, which encompasses a large area that is a restricted regime protection zone. But, the main cause for the forest’s destruction, as it converges from all sides, is the diversion of a large part of Samur’s water into Azerbaijani territory. Water has already been going into Azerbaijan for sixty years, and in some of these years, almost all of the river’s water. And now a new aqueduct is being built to ensure water supply is left for Dagestani cities. The Samur forest does not depend completely on rainfall, but on the aquifers and floodwaters of the river. The groundwater of this region contains a large amount of soda. But thanks to floodwaters of the Samur basin, the soil is leached of this and the forest also receives humus. Diversion of water from the Samur has led to the fact that it is possible to walk through the riverbed in shoes, and the forest is withering. According to experts, this is a problem at the federal level, however, practically nothing has been done, and the Samur forest is living out its last years. It seems that only the locals are vitally interested in the welfare of the river, land, and forest. Apart from them – no one. 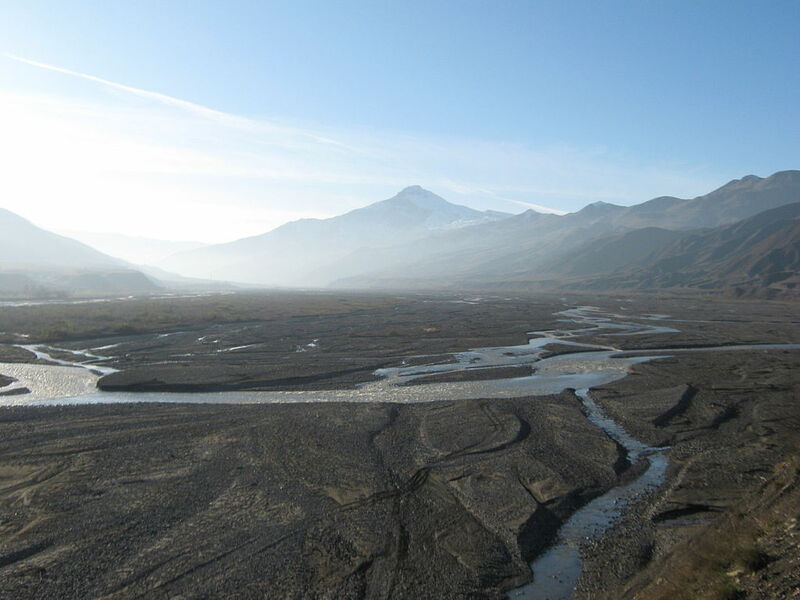 Part of the Samur riverbed crosses state borders – those of Russia and Azerbaijan. In the lower reaches of the Samur river, the Lezgins live. They are the local village inhabitants, who year after year take action to protect their river and their forest – meetings, gathering, and so on. …It’s clear that the expression “rightful state borders” is always an oxymoron, and in such a region as the Caucuses, especially so. The borders of which we speak did not exist prior to 1921. As such, neither Dagestan nor Azerbaijan existed. In the Russian Empire – “the prison of nations” – there wasn’t such a complex hierarchy of national entities of various ranks, as in the subsequent multinational Soviet state. The borders of national republics, which the Bolsheviks implemented over a mosaic of different ethnic communities in the Caucuses, of course, couldn’t satisfy everyone. The fruits of this division after many decades, and after the collapse of the Soviet Union, turned out to be extreme bloodshed – take the history of Nagorno-Karabakh. In 1921, the Lezgins found themselves in a new formation – the autonomous republic of Dagestan in the North Caucuses – and part, in an also new but already independent state, Azerbaijan. It’s true that after a year, Azerbaijan became a part of the Soviet Union with the rights of a “sister republic,” remaining independent only formally. Whatever it was or wasn’t, the Samur river was drawn as a border, however, on the Azerbaijani side. That is, the river remained as if it were Lezgin. Both new entities, Dagestan and Azerbaijan, were highly diverse, and also potential empires, where resentment, conflict, and discontent continued to smolder. In Soviet Azerbaijan, the Lezgin “Turkicized,” and their language and culture, as expressed in those years, was squashed. They complained to “Pravda” (editor: official Soviet newspaper) and asked for their settlement territory to be transferred to Dagestan or that a separate Lezgin autonomous republic be created… but it didn’t do to quarrel with the Azerbaijani leadership. After the collapse of the Soviet Union, the Azerbaijani government began to conduct political suppression of Lezgin national identity. And again the leadership, neither of the USSR nor of Russia, were going to quarrel with their independent neighbor, as it was in possession of prodigious oil and gas. In 2010, as a part of the final ratification of state borders between Russia and Azerbaijan, a part of Dagestan was given to its neighbor: two villages with 600 Lezgins, Russian citizens. In May 2013, three pieces of pasture land were transferred to Azerbaijan – valuable alpine meadows – yet another region of Dagestan. 2000 hecatres. The gift of a village is nonsense compared to the fact that the border was moved from the Azerbaijani banks to the center of the riverbed. In fact, another state was given half of the river. That is, the leadership of Russia, in the interests of Gazprom, misappropriated not only thousands of hectares of territory, but also a whole river. Overnight, the river, flowing along the border with another state, has become common and shared. This is the worst thing that could happen to the river, as similar instances suffice to show. Fresh water – this is the resource that becomes more valuable and increasingly estimated in money. From where, in this case, is the resource taken? The Samur, currently a spur of the main Caucuses range in Dagestan, receives 90% of its water from Russian territory. But, even back in 1952, at the request of the Azerbaijani SSR to ensure its low-water areas, a piece of land in Dagestan was identified on which to build a waterworks and intake structures for the Samur-Absheron canal. The administrative border then ran along the right riverbank, and all of the waterworks were located in Dagestani territory. The waterworks, by the way, from the operation’s beginnings to today, are still in the balance of Azerbaijani operating organizations. After its construction, the Ministry of Water Resources of the USSR set limits on the use of water from the Samur. Its flow was regulated, and 75% of the water was allotted to Azerbaijan. Local residents began to experience water shortages. The number of fish, salmon and sturgeon, spawning in the waters of the Samur and its tributaries, decreased tenfold. Many species of plants and animals in the Samur ecosystem appeared to be under the threat of extinction. In 1967, a new water distribution protocol was set: 33% was officially allocated to supporting the ecological balance of the river and surroundings (the so-called “environmental relief”), 17% was the share of Russia, and 50% went to Azerbaijan. The main thing – as stated in a dry analysis - “Intensive economic activity in the Samur river basin (especially intake for the Samur waterworks, leading to the near complete absence of flow in individual months in the lower reaches) has led to the degradation of the Samur liana forest – it has dried out and has completely disappeared in certain areas. This has also contributed to rising levels of the Caspian sea and floodwaters in parts of the delta. After the collapse of the USSR, the Samur waterworks was declared the property of Azerbaijan, even though it was located in Russian territory. Since the beginning of the 1990s, when it was necessary to determine the border between the yet again separate states of Russia and Azerbaijan, Dagestan spoke of at least equally dividing the Samur water. According to some reports, at this time Azerbaijani side was taking 90%... Azerbaijan began increasing drainage in 2008 to reconstruct the Samur-Absheron canal. But two years later, under the defined borders, the sides agreed to divide the water resources in equal parts and set the size of the ecological relief portion at 30.5%. The border between the Russian Federation and the Republic of Azerbaijan was moved from the right bank of the Samur river to the middle of the waterworks. When this document was discussed by the Duma, Sergei Reshulsky of the Community Party faction said, “The new redistribution has caused great damage to Russia, to South Dagestan. The agreement disproportionally and unfairly divided the river water intake. For Dagestan, especially the Magaramkentsky region, Samur river water is of great value – about 5 billion rubles. For what are we giving it away? Two villages, together with Russian residents, remain in Azerbaijani territory. It is hard to imagine what will happen to them. Already today, the Azerbaijani side is supplanting them under any pretext, beginning with physical pressure. If we legalize this border, our citizens may become refugees without homes or land… If they do not want Azerbaijani citizenship, and sell their homes for nothing, and leave, begging is in their future.” However, the document was adopted, and we cannot now turn back time. Since 2013, a new waterworks has been under construction on the Samur to supply Derbent and surrounding settlements at the expense of the federal objective program “the Russian South (2008-2013).” Residents of the Magaramentsky region believe that the Samur forest is, as a result, at risk of total destruction. Dagestan’s Ministry of Natural Resources is not supporting them. In December 2013, deputies of the Samur village made the decision in an emergency meeting to suspend the construction of the water intake station, and then about three thousand residents of the Magaramentsky region, breaking a police cordon, stopped construction work on a water intake station in the Azadogli. To this day, locals have conducted thousands of protests against the construction of the water main, demanding a transfer of the Samur forest into federal jurisdiction and a prohibition on drilling in the surrounding areas. During one of these actions, riot police used force against the protestors, many of whom were arrested. Residents are angered by the multitude of attempts to begin drilling work without informing the location population in advance. A striking example of the impacts of the water intake station is the situation in the village Azadogli, when after just a few hours of work many well pipes in the village became shallow. At the invitation of the federal Lezgin national-cultural autonomy, Russian ecologists came to visit: the chairman of the Russian Union of Hydrologists, UN expert Yuri Bogomolov, the chairman of the Council of inter-regional socio-environmental community organization “Green League”, Sergei Simak, and others. According to reports, they came to the conclusion that carrying out drilling activities is an ecological threat and may lead to a natural catastrophe. 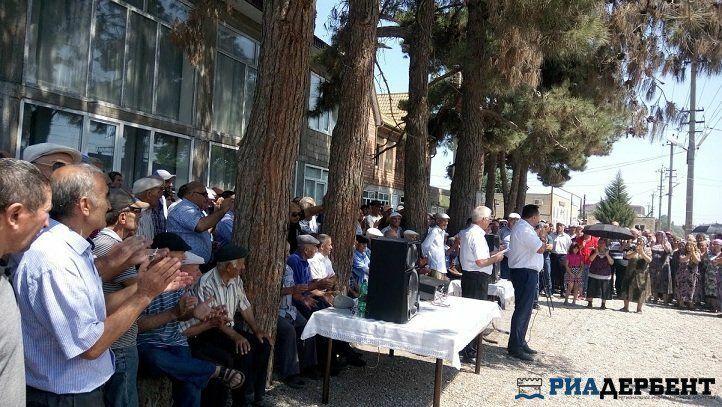 At the hearing “the impact of water intake from the Samur valley on the Samur ecosystem,” which was held in Makhachkala in the beginning of 2016, a representative of joint stock company “Dagestangeologiya” said the fears of local residents regarding the forest and springs drying up are groundless. Residents objected, saying their springs are already dry, as well as the upper part of the forest. Withered vines were visible at the forest’s entrance. In some villages, water has almost disappeared, and residents stand in long lines to collect it. As a result of the hearing, the public chamber recommended a federal environment assessment of the design documents be carried out. However, this is already what is required by law for any economic activities affecting protected areas. It is surprising that the republic’s government forcibly conducted this project, threatening federal reserves, without such an assessment. 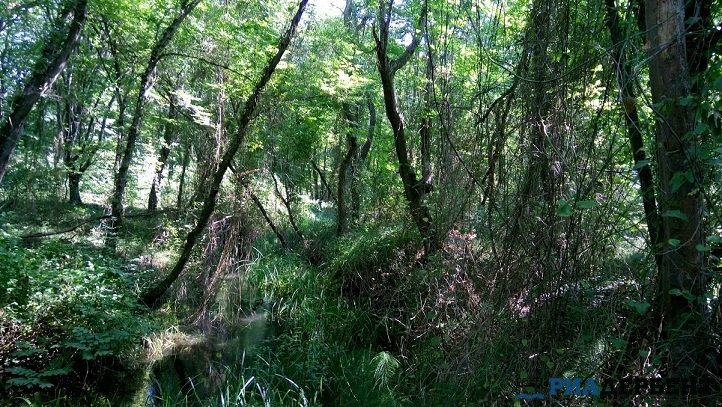 Moreover, as related by the teacher Nizami Abdulgamidov on the website of the Moscow Lezgin community, groundwater in the Samur forest and its surroundings constitute a single whole. That is, wells drilled near the forest, but formally outside of the reserve’s boundaries, will be pumping the same groundwater that feeds the Samur forest, and the assessment should take this into account. But, as he writes, regarding arguments about the death of a state reserve of federal significance and the destruction of the surrounding habitats of thousands of people, “Dagestani officials with childlike directness reply, “Does Derbent need to drink?”” Of course. 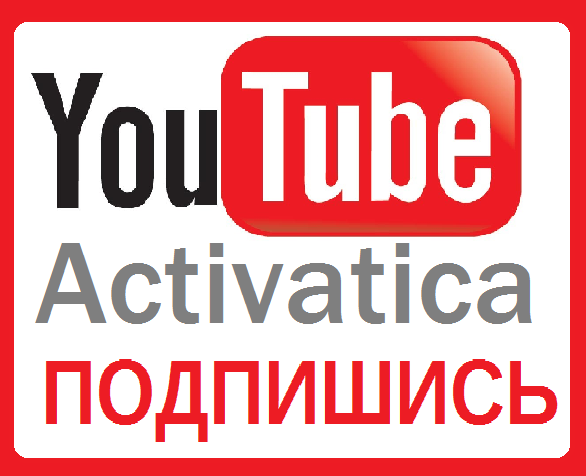 But perhaps the republic’s authorities are upholding the demand of Russian interests and the Russian Foreign Ministry, instead of doing the extreme – protecting nature and the local population?